The small, happy town of Griffin Rock has a mystery on its hands. Make that five mysteries! And it’s up to Chase, Heatwave, Blades, Boulder and the Burns family to solve them. Do they have the sleuthing skills for the job? Join the suspense and the fun as Cody and the TRANSFORMERS RESCUE BOTS confront ghosts, search for the legendary Maine Ridge Monster, chase gremlins and more! We're a big fan of the Transformers and with little ones in the house, Rescue Bots is a great series for the younger generation. My son is seven and he still loves watching all the Rescue Bots come together to save the day. So when he got to watch Jurassic Adventure, he loved it. Not only did the new episodes include all of his favorite Bots, but they also included a dinosaur, Trex, which he absolutely loved. He's watched the DVD a few times now and still loves it. If you have any little ones that love both dinosaurs, robots and transformers, Rescue Bots is a great series for them to watch. This DVD comes with five great episodes that will have your little guy or girl glued to the screen and is now available retailing for $14.93. 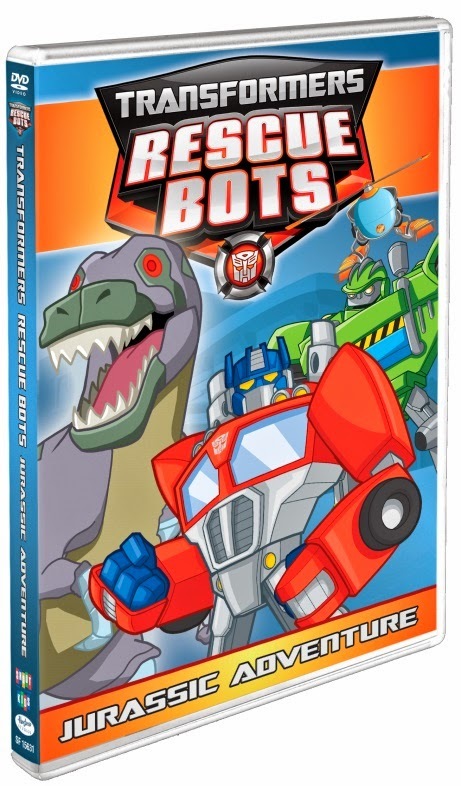 For more information about Jurassic Adventure and other Rescue Bots DVD's be sure to head to www.shoutfactory.com. Disclosure: All opinions are my own. I received Jurassic Adventure on DVD at no cost for the purpose of this review. No other compensation was received.